I do not know this kid, but I have communicated with his parents. 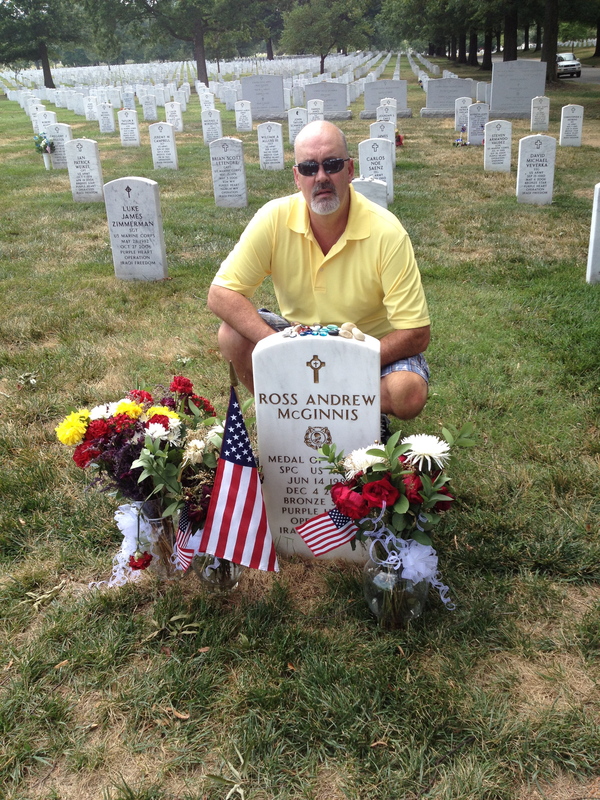 Today, I want us to prayerfully read and consider the implications of this citation for Ross A. McGinnis. Private First Class Ross A. McGinnis distinguished himself by acts of gallantry and intrepidity above and beyond the call of duty while serving as an M2 .50-caliber Machine Gunner, 1st Platoon, C Company, 1st Battalion, 26th Infantry Regiment, in connection with combat operations against an armed enemy in Adhamiyah, Northeast Baghdad, Iraq, on December 4, 2006. That afternoon his platoon was conducting combat control operations in an effort to reduce and control sectarian violence in the area. While Private McGinnis was manning the M2 .50-caliber Machine Gun, a fragmentation grenade thrown by an insurgent fell through the gunner’s hatch into the vehicle. Reacting quickly, he yelled “grenade,” allowing all four members of his crew to prepare for the grenade’s blast. Then, rather than leaping from the gunner’s hatch to safety, Private McGinnis made the courageous decision to protect his crew. In a selfless act of bravery, in which he was mortally wounded, Private McGinnis covered the live grenade, pinning it between his body and the vehicle and absorbing most of the explosion. Private McGinnis’ gallant action directly saved four men from certain serious injury or death. Private First Class McGinnis’ extraordinary heroism and selflessness at the cost of his own life, above and beyond the call of duty, are in keeping with the highest traditions of the military service and reflect great credit upon himself, his unit, and the United States Army. Spc. McGinnis was 19 years old. There are many ways to develop today’s wisdom message. But, what I want us to take away today is simple: friends, family, brothers, and sisters do what is necessary to protect each other when danger, adversity and storms winds blow. We need to appreciate the real friends that we have and dedicate ourselves to be better to them in return.